The Union Theatre was set up by actor/producer Sacha Regan in 1998 in an old paper warehouse and with the help of a Prince's Youth Business Trust loan. She was later joined by actor and director Ben De Wynter and stage/production manager Steve Miller who make up the creative team. 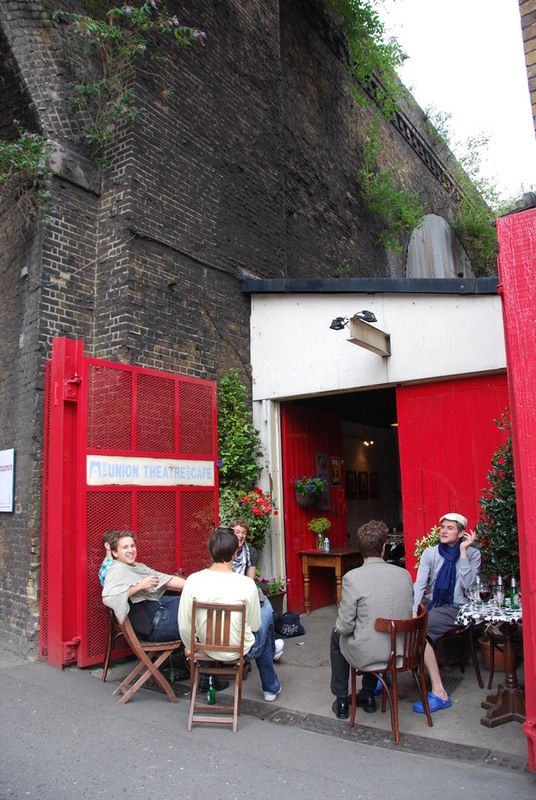 The theatre is a quirky fringe venue, situated under the arches of a railway bridge and close to the Tate Modern and Jerwood Space art gallery. It also has its own street side cafe - open all day - serving coffees, pastries and Brick Lane bagels. What are the best dining options near The Union Theatre London? The Union Theatre gyms, sporting activities, health & beauty and fitness. The best pubs near London The Union Theatre. The Union Theatre clubs, bars, cabaret nights, casinos and interesting nightlife. Where to have your meeting, conference, exhibition, private dining or training course near The Union Theatre. From cheap budget hotels to luxury 5 star suites see our discounts for The Union Theatre hotels, including Holiday Inn Express London Southwark from 76% off.